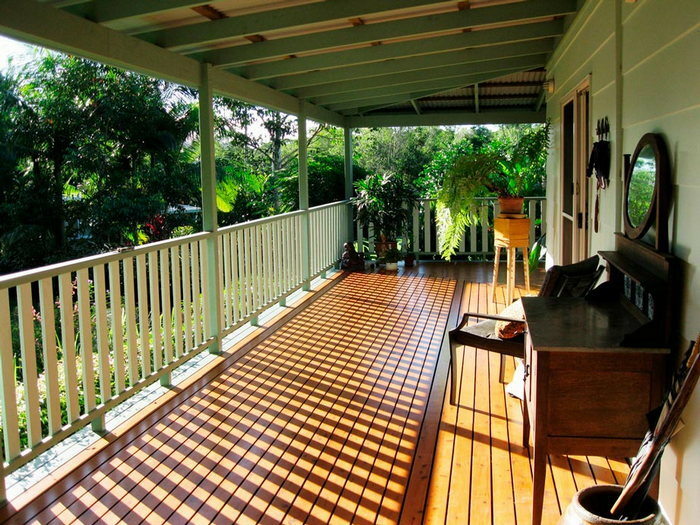 Out of all the improvements available to homeowners, decks are one of the most popular choices. They are typically designed to accommodate easy access through the rear of a house, for instance, either through a sliding glass door or a standard door. They are often located off of the kitchen or family room, but they can also be situated off of a bedroom, such as the master. Decks provide a perfect place for the family grill, as well as a place to entertain. They can be designed to overlook a peaceful and serene lake or to provide a panoramic view of a majestic mountainside. Whatever their use, decks continue to be a preferred choice among homeowners. There are many of materials that can be used to build a deck, the most common is some wood product usually either pine or cedar. If pine is used, be sure it is treated, meaning the lumber has been specially treated with the chemical agent that enables it to withstand nature’s elements better, such as the wind, rain, and the sun. If the wood is not treated, it will deteriorate over a period of a few years and begin to rot. One primary advantage of using treated wood is that it can be painted, so if you’re thinking about painting a deck rather than staining it, using treated lumber is the better choice because it is less expensive than cedar. On the other hand, if you’re thinking about staining a deck, then cedar is a better choice. Cedarwood has a natural red color to it, and stain enhances its natural beauty to make it look stunning. The primary disadvantage to staining is that it lasts only at most two years, depending on how harsh the climate is in your area. The staining process is not expensive but can be time-consuming. Before a deck can be re-stained, it’s a good idea to first clean it with a power washer and a cleaning solution designed especially for layers. So, if you don’t want to deal with the periodic maintenance and upkeep of a stained deck, a painted pack may be a better choice for you. 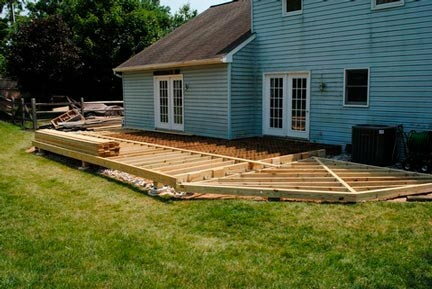 The value of this home improvement is high because decks remain quite popular among homeowners. Costs vary somewhat among the choices that are available, such as whether treated lumber or cedar is used, and also on how elaborate the design is.